Copy of Great value kitchens. Keeping all our overheads as low as possible. Only using quality products that stand the test of time. Having a great team of trades people that we have a long lasting relationship with. Not being tied to one suppler, we can source the product you want at the very best deals. If you've had a quote and plans from our competitors just email them to me (a.pottskitchens@btinternet.com) and see how much you can save. Remember we don't cut corners on quality. We are confident that we can save you money on your new kitchens. With the New year just around the corner we at Alan Potts Kitchens can show you some of the new ranges that will be launched by Schuller Kitchens. Alan Potts Kitchens are pleased to announce that we are now designing and supplying quality bedrooms. We are delighted to have teamed up with top German bedroom furnishes manufacturer NOLTE DELUBRCK. As always at Alan Potts Kitchens we strive to bring you the the highest quality at the best prices. A short film about Schuller Kitchens. "Click Here"
They really are as great as they say. We have been selling them for over 4 years and they are the best kitchens. 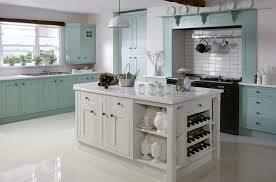 Not only do we supply beautiful modern kitchens, we have a wide range of traditional kitchen. It you are looking for a painted finish or just a plain wood we have the kitchen for you. Please remember that we serve the Wigan & Penrith / Carlisle areas.